I had been looking for this place for quite sometime, the address and GPS location given on the net is misleading and send me in circles. 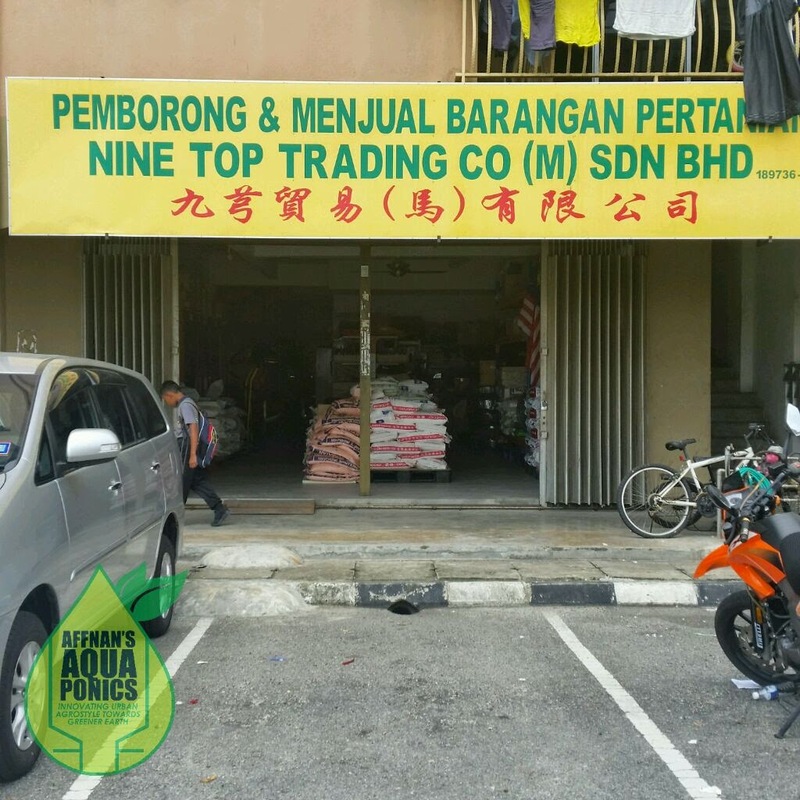 This fact is acknowledge by the shop owner as he heard numerous complains about it. When there this afternoon and manage to get the Chelated Iron (FE) that I am looking for, what a relief and at last I got it right. EDTA is toxic according to Bright Agrotec. Don't put it in your AP system! Use EDDHA or DTPA instead. Thanks for the comment, however it is best to do more research on this before taking what another company says. Especially if they sell those other types. Research done on EDTA Fe already being done and according to FDA report it doesn't show any adverse effect after 20 to 30 years of testing. That is why it is not ban from being use. It does has a mild toxicity level but not high enough to csuse harm even when use as a food supplement. Of course don't eat it like cereal etc, normal usage is ok. Typical scare tactic by competitor, especially by another company. I trust the FDA more on this matter. 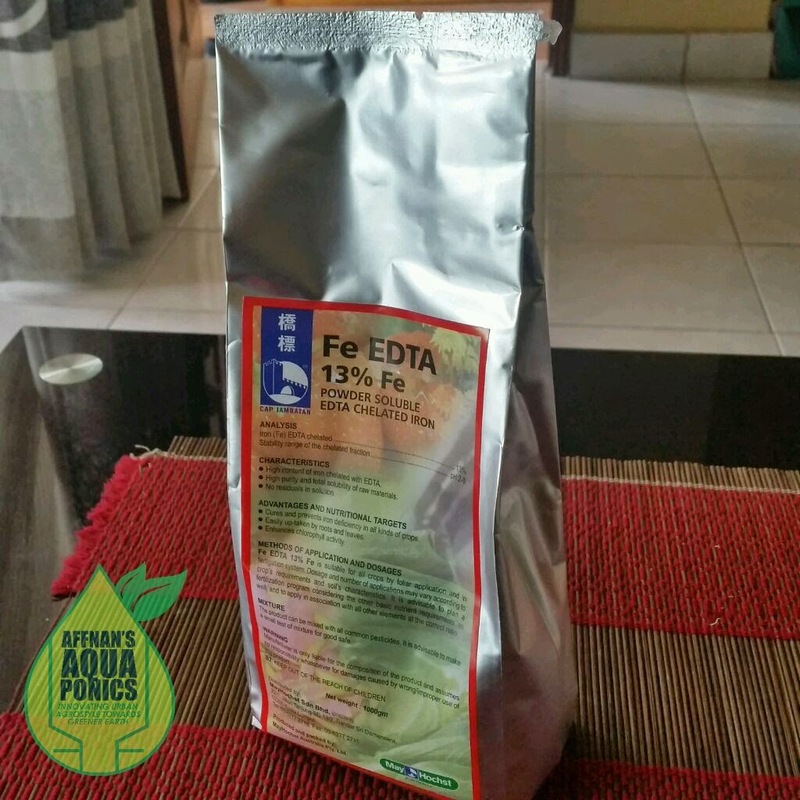 Hi i understand that EDTA is toxic to the fish; I wonder have it cause any negative effect to your aquaponic system. EDTA is non toxic, what it does is the chelating agent could deplete body of iron. It is not toxic like in poison.